All of our Pentair SuperFlo VS pumps are the Newest Version from Pentair and include a free set of unions. 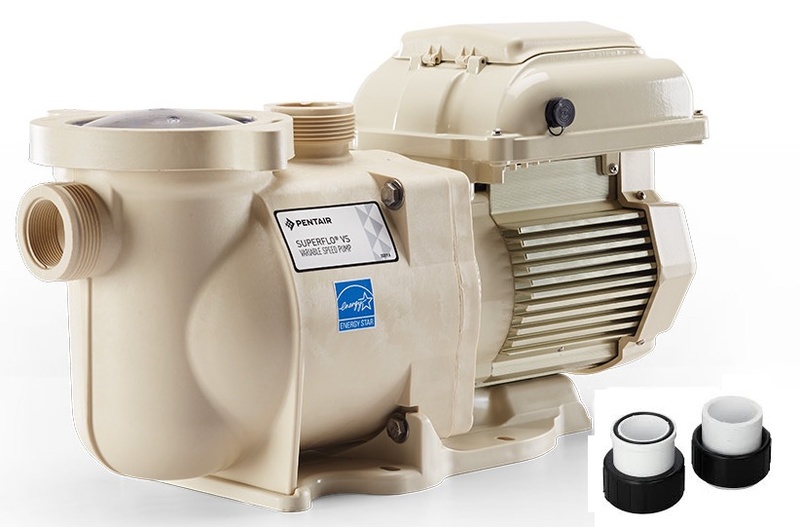 Pentair SuperFlo VS 115v/230v pump bring the remarkable energy cost savings of variable speed technology to standard pools at a more affordable price. 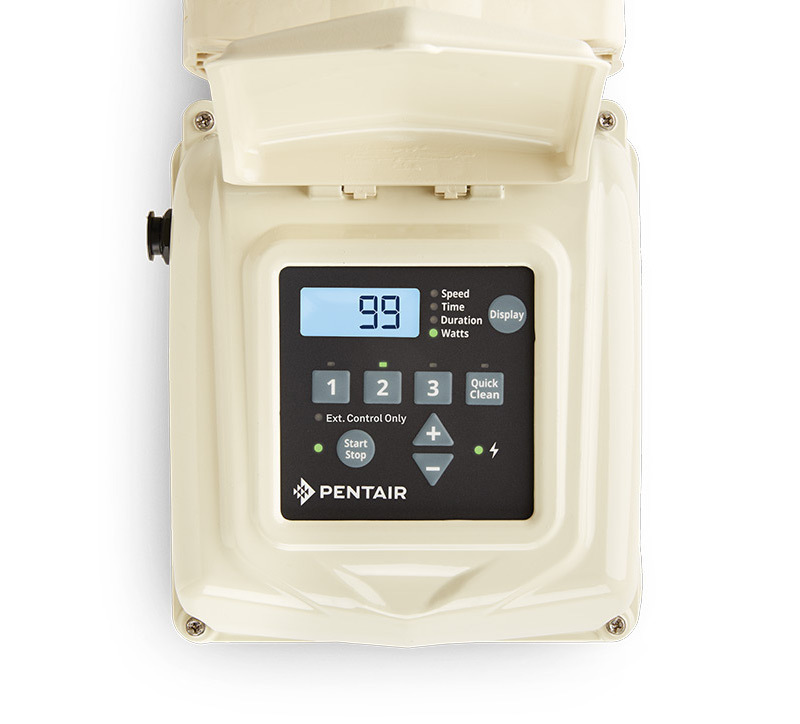 With three adjustable operating speed settings plus override capability, the Pentair SuperFlo VS pump is ideal for standard pools requiring up to a 1.5 hp pump. And the Pentair SuperFlo VS pump is engineered for easy installation, simple operation and trouble free service. 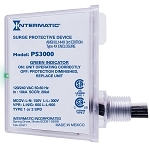 The only variable speed on the market today with 115v or 230v capability. Easy-to-read display makes programming and monitoring a cinch. Real time clock; no need to install a separate external unit. Three operating speed settings plus override/quick clean capability. Simple, intuitive user interface displays watts, RPM and remaining program duration. 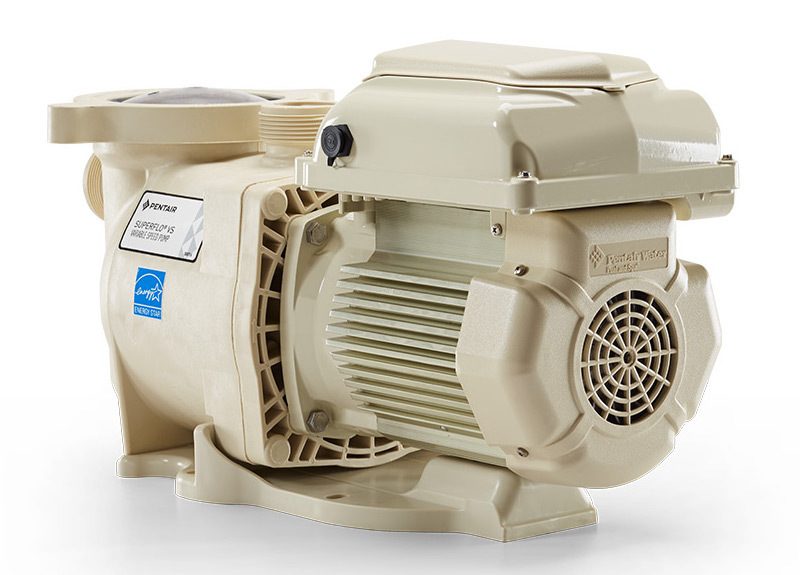 Tough, engineered polymer pump body and durable, total enclosed fan cooled (TEFC) motor gives years of trouble-free service. 115/230 volts, 50/60 Hz single phase. This replaced a single speed Pentair Whisperflo. The old pump used 290 kwhr per month and the Pentair SuperFlo VS runs at half the watts but twice as long. Very pleased. So far so good after having it installed professionally. However, the drive head was not plugged into the pump, and had to call Pentair to make a warranty claim to have someone come out to fix it. Not any ones fault, things happen. Overall, good experience with poolcleaningparts.com and Pentair customer service. My pool is still clean so happy with SuperFlo VS pump so far. I look forward to the significant savings on my electric bill at the end of the month. Very quite. Haven't received an electric bill yet but based on the wattage reading and the way my pool professional set up the clock, I should be saving about 75%. So far, I love it. Awesome pool pump for a great price. Quiet operating variable speed. Easy install and operation. Fast delivery. Unbelievable improvement over old pump. Quiet like a mouse. Saving me energy dollars in bunches for sure. Should have changed over to Superflo VS sooner. I am recommending Pool Cleaning Parts to anyone in my area that needs pool parts / supplies. Outstanding service and professionalism. Great pump, very easy to install. Very quiet! Q: Is the SuperFlo VS a 1.5" or 2” inlet pipe size? Q: I am living in California, do I have to pay sale tax for this product ? Pentair SuperFlo VS local power company rebates.